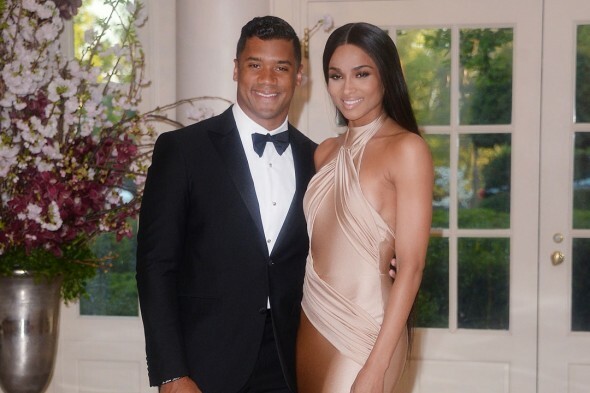 TMZ is reporting Seahawks QB Russell Wilson and Ciara are getting married shortly at a castle in England. Presumably, her old boyfriend, Future, is not on the guest list. Nor is Pats DB Malcolm Butler. At risk of overdosing readers with more Russell Wilson gossip from TMZ, the website that pays for news tips reported Tuesday that the Seahawks quarterback and fiance Ciara will be married shortly in a castle in England, apparently helping ease the bad news the Brits are having with bailing on the European Union and losing to Iceland in soccer. The website offered photo evidence of the couple on castle grounds, but did not offer specifics of where or when, presumably because they will trickle out each fact as a separate headline for the couple that is rapidly becoming America’s celebrity darlings — except for one bitter dude. Ciara’s baby-daddy Future, the rapper who is being sued by her for defamation, is not happy with Wilson being around his two-year-old son with Ciara. Earlier Tuesday, Ciara provided documents to the court that claim Future threatened Wilson’s life. Read about it here. In England with 100 of their close friends and family, TMZ also reported that Ciara had bachelorette party in Las Vegas two weeks ago. No word yet about Wilson’s bachelor party. We’re guessing a buttermilk kegger in the church basement with secret-pal gifts for all. I start to get tired of Wilson’s uninteresting positivity until I hear from one of his contemporaries. Then I am thankful for his reliably dignified behavior. More young men like him, please. Future’s “threats” are crude and off-putting, but I wonder if this is really lawsuit material. I’ve heard a lot worse in my favorite Eminem songs. Couldn’t this just be typical cartoonish rapper bravado? Nothing against Ciara, but is anyone else a little worried about how this affects a grueling football season? Outrunning 300 lb. beasts is one thing, but coming home to a beautiful pop star wife can’t be good for recovery. Art thanks for tracking this story, its always great to know what Russ is up to.. BUT! i am eagerly awaiting your take on the KEVIN DURANT FREAKING EXIT FROM OKC!. So many wonderful layers to this story, from a NW sports perspective. The entire city of OKC is imploding! I heard Clay Bennett had to stay in a holiday inn in the hamptons in a last ditch effort to sway him! Lots of good tidbits floating around but we need your perspective and wry wit to bring it all together! Your faithful readers, whom i will speak for here, are eager to here your spin on the ironies! One more explanation point!